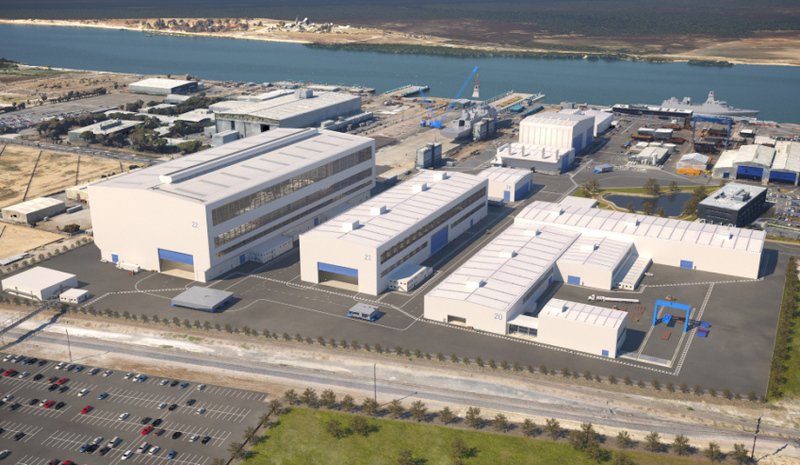 The $535 million infrastructure build of the Osborne South Shipyard, which will be the home of the build for Australia’s Future Frigates, will create 600 construction jobs. Sydney-based company Lendlease, in partnership with Australian Naval Infrastructure Pty Ltd, have been selected for the job, with hiring for mobilisation work commencing this month. Lendlease has previously undertaken large, high-profile construction projects in South Australia, including the Adelaide Oval and Adelaide Convention Centre redevelopments. Minister for Defence Industry Christopher Pyne said that the so-called shipbuilding valley of death has ended and South Australians were now seeing the tangible benefits of the government’s historic $90 billion naval shipbuilding program. Minister for Finance Mathias Cormann said the government’s decisions to establish Australian Naval Infrastructure Pty Ltd and purchase land and facilities from the South Australian government have enabled work to progress rapidly. “Today’s announcement is the latest step in the government’s plan to ensure that we develop world-leading shipbuilding facilities in South Australia that will enable our historic investments in naval shipbuilding to commence on schedule," the minister said. "Through Australian Naval Infrastructure Pty Ltd, the government is investing more than $500 million in naval infrastructure at Osborne that will support a sustainable, long-term naval shipbuilding industry in Australia." An independent report by PwC, released yesterday, found the the current shipbuilding workforce will more than triple, and more than $130 billion will be added to the SA economy, improving gross state product by 3.5 per cent under the $89 billion shipbuilding projects.